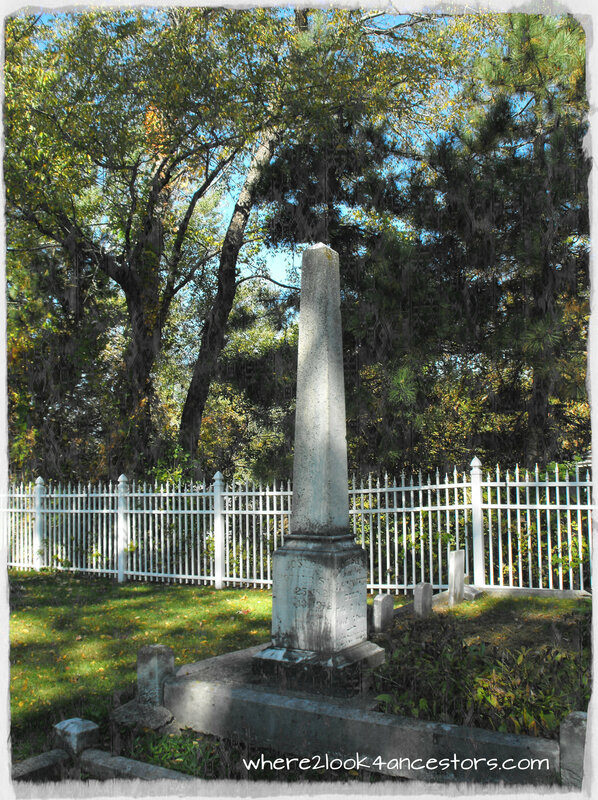 Using the cool new Find A Grave app, Husband and I stopped at a dozen or so cemeteries during a recent road trip. 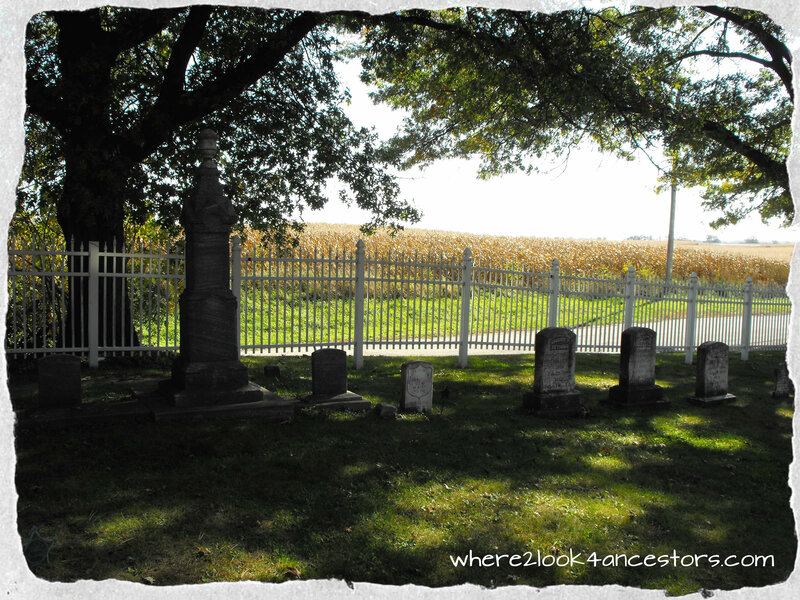 Hartwell Cemetery is a small, lovely white-picket-fenced graveyard near Abells Corners and Lafayette Township Wisconsin. Established in 1844, there are many old headstones and the same family names are seen over and over. One obelisk style headstone in the distance caught my eye. It belongs to the Potter family. and their infant daughter Louisa.